Saturday is Sneak Some Zucchini onto Your Neighbors’ Porch Day, the time of year that summer fruits and vegetables hit their zenith. What better week to get out to an on-farm dinner (or breakfast) or check out Catskill food trucks that use local produce? Here’s our list of fun places to eat and drink this week. Know others coming up? We do this every Thursday, so let us know, too. Saugerties’ First Friday: Friday, Aug. 7, at various downtown Saugerties locations. This monthly event features special treats from local restaurants and bakeries, like a chocolate fountain at Lucky Chocolates, as well as handcrafted jewelry and other shopping finds. This month’s event includes an open house from 5 to 8 p.m. at the brand-new location of Black-Eyed Suzie’s Upstate, the locally sourced food truck and catering company, which just moved into 230 Partition St.
Windham Mountain Bike World Cup Festival: Friday, Aug. 7 through Sunday, Aug. 9, times and locations vary. There aren’t too many international sports competitions that come to the Catskills, and this is a fun one to watch. Windham transforms from a ski resort to a major mountain biking venue, with riders and fans wheeling in from all over the world. In addition to all the bike action, there’s a block party in downtown Windham Friday from 8 to 11 p.m., sky rides, and fireworks on Saturday night. (See the whole schedule here.) 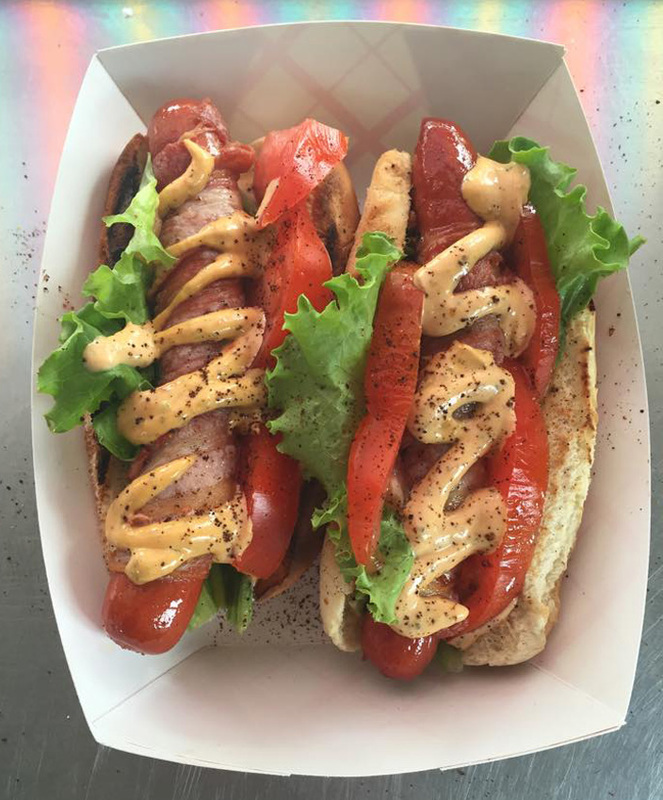 The food offerings include two Catskill-based food trucks that serve up local fare: Palenville’s Pippy’s Hotdog Truck and Lexington’s Nina’s Home Cooking, which will both be on site all weekend. One-day admission is $10/person for entry only, or $15/person with a sky ride on the ski lift. Catskill Brewery Clean Energy Fundraiser with Mark Ruffalo: Saturday, Aug. 8, 4 to 8 p.m., 672 Old Route 17, Livingston Manor. One of the country’s greenest breweries hosts actor and The Solutions Project co-founder Mark Ruffalo, along with Solutions Project Executive Director Sarah Shanley Hope. The pair will speak at this celebration of New York’s seven 100% Leadership Fund award winners who are making clean energy more accessible and affordable for their communities. Catskill Brewery’s beer taps will flow, and Fearless Cooking serves pulled pork barbecue. Admission is free; proceeds from beverage and food sales benefit the 100% Leadership Fund, a project of The Solutions Project. Farm-to-Fork Benefit Dinner for Sullivan County Area Farmers’ Markets: Saturday, Aug. 8, 7 p.m., Hills Country Inn, 1630 Gulf Road, Callicoon Center. Part of a series of seasonal farm-based dinners catered by Early Bird Cookery, this event includes a silent auction whose proceeds support the Sullivan County Area Farmers’ Market scholarship fund. The $65/person ticket includes cocktail hour and a four-course meal designed around products from a long list of Catskill farms and food producers. Vegetarian options are available with advance request. Reservations are required (call 866-270-2015 or email manager@sullivancountyfarmersmarkets.org). Taste of India Farm Dinner at Fable: Saturday, Aug. 8, 7 p.m., Stone and Thistle Farm, 1211 Kelso Road, East Meredith. This dinner, part of the Delaware County farm’s seasonal series, offers a twist on Fable’s usual fare. Created by guest chef Mark Throssel, the menu (PDF) features vegetable samosas, lamb with plums and cauliflower with fennel and mustard seeds. Dinner is $50/person and includes non-alcoholic drinks and dessert. New York State wine and locally brewed beer are also available, or you can bring your own. Reservations are required (call 607-278-5800 or email warren@stoneandthistlefarm.com). The evening begins with a farm tour at 6:30 p.m.
Breakfast at Buck Hill Farm: Sunday, Aug. 9, 8 a.m. to 1 p.m., 185 Fuller Road, Jefferson. This Schoharie County farm made its name in maple syrup, but what started as an annual customer open house during tapping season has evolved into a weekly Sunday on-farm breakfast. The menu features traditional dishes (omelets, pancakes, biscuits and gravy, red flannel hash) made from ingredients grown or produced on-site–including the eggs, sausage and bacon–or procured from neighboring farms and bakeries. Entrees run from $5 to $7. This week, there’s a coupon on Facebook for a free coffee and 10 percent off a purchase in the farm store.